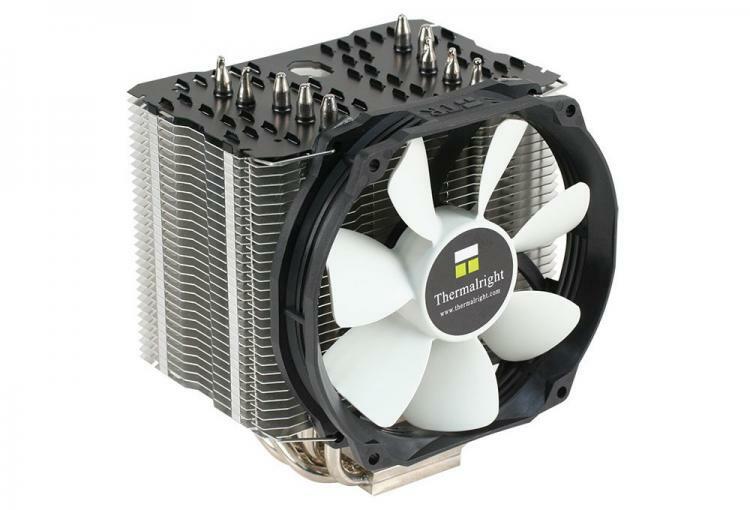 March 2016 - Thermalright - Introducing the Macho 120 SBM. With the Macho 120 SBM, Thermalright added a compact version of its popular Macho 120 Rev. A to its portfolio. Its narrower design makes it the ideal candidate for Mini-ITX or Micro-ATX systems, where it can score with its maximum compatibility. With dimension of 130 x 101 x 150 mm the Macho 120 SBM is noticeably thinner than its "big brother". Thus it can easily fit in cases for which the Macho 120 Rev. A was too big. The newly designed TY 127 PWM fan provides the necessary airflow and guarantees the cooler an outstanding cooling performance. 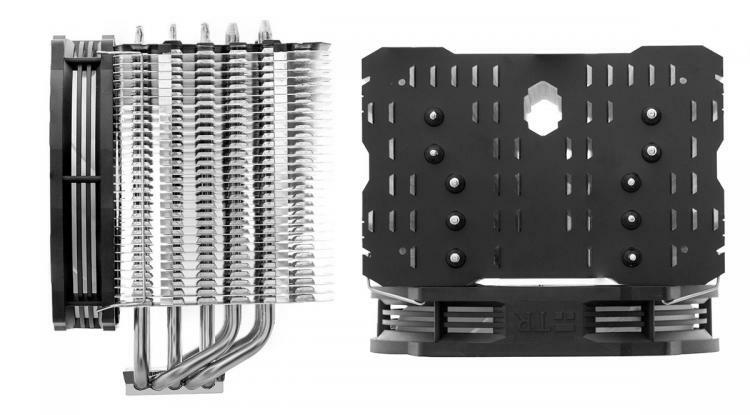 The concept of the heatsink aligned to the rear that is used for all the coolers of the Macho family is also part of the design of the Macho 120 SBM, which eliminates the possibility of interference with RAM-coolers almost completely. 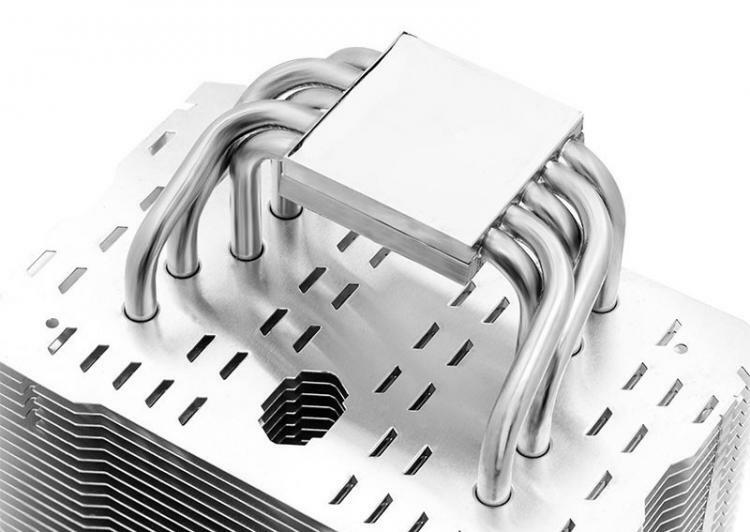 Five 6 mm heatpipes, in conjunction with the 30 aluminum cooling fins in the typical Macho design ensure that the cooler offers a superior heat dissipation. The fins offer a particularly low air resistance and have been optimized for low-rpm fans. Visually, the Macho 120 SBM is clearly a member of its family. The heatpipes are nickel plated and offer in combination with the black anodized top fin an elegant appearance. The first 120 mm model in the well-known TY-design offers a wide control range between 300 and 1,300 rpm, which results in an air flow of 21.9 - 94.8 m³/h. Thus the fan offers a higher airflow when compared to the 120 mm fan of the Macho 120 Rev. A. The cooler is now available in stores. The MSRP is €42.99, incl. 19% VAT.